Just a few hours before his death, Mexican singer Sergio Vega, AKA El Shaka, was denying reports of his death. As he told Mexican entertainment website El Oreja: “It’s happened to me for years now, someone tells a radio station or a newspaper I’ve been killed, or suffered an accident. 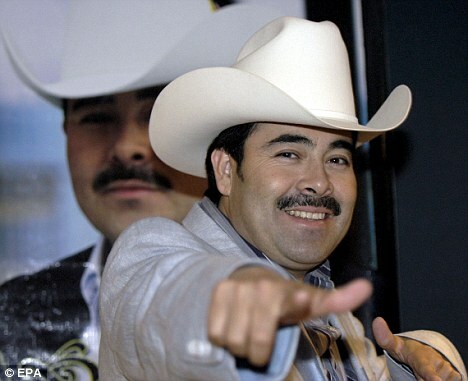 And then I have to call my dear mum, who has heart trouble, to reassure her.” Unfortunately, the most recent rumors of his death turned out to be prophetic, as the 40-year-old grupero singer was shot and killed by a drug gang on his way to a concert in Sinola, Mexico. Gruperos are Mexican singers who perform ballads based on, or glamorizing, the international drug trade that fuels Mexico’s economy. Often times, singers of these so-called narcocorridos are targeted by rival drug gangs. Six other Gruperos have been killed within the last 6 months, but none more popular than US-based El Shaka. Maybe it’s time to switch genres, if you’re a popular grupero. Your drug-trade folk heroes aren’t worth getting killed over.